If you have an interest in web marketing, you most likely have a basic understanding of SEO. If not, SEO is the practice of “optimizing” your website so potential customers who look up your product or service on a search engine, will find their way to your page. SEO tactics and strategies have general guidelines (Organic Backlinks, no Spam, Original content, etc. ), but it can also be very dependent on the industry and size of the business. How a well-known, local restaurant incorporates SEO, will vary from how an E-commerce site will have theirs implemented. The difference can be defined as local SEO and organic SEO. Local SEO is exactly as its described. Local SEO pertains to businesses and websites trying to increase local traffic. Search engines have been getting more sophisticated and better at predicting users’ queries. Engines now determine if a user had “local intent” or not. If you were to look up “ice cream Boston”, search engines have the foresight to understand you are most likely looking for a place open now and near you (if you’re searching out of Boston) for ice cream. If you were to just look up “ice cream”, there may be some local results, but you will also have potential articles, Wikipedia pages, or even nutritional values of ice cream. Local SEO is the practice of attracting and obtaining more traffic to your site from local users (potential customers) in the area. This is something that we can track through Google Analytics. Organic SEO pertains more to matching what the user searched and less with location. To rank efficiently within Organic SEO, your site needs to have matching and relevant keywords in respect to how people will be finding you through their searches. While this is the case in local SEO as well, these won’t need locations mentioned within the content on your site. With organic relating to the entire world wide web, it can be difficult to begin ranking well quickly. Increasing your social media presence and obtaining strong, reputable backlinks will put you on the right track though. Businesses that have multiple locations or offices throughout the world need to keep both local and organic SEO in mind while implementing an SEO strategy. A company’s strategy to increase search rankings should be heavily focused around how their customers or consumers are finding them. Again, these approaches will need to consider industry and how competitors are currently ranking. At the end of the day, increasing your web traffic and where you appear within search results is a marathon and not a sprint in both local and organic SEO. Shortcuts will get you penalized by search engines, pushing you further down in rankings. Here at Boston Web Marketing, we are constantly working with search engines and utilizing trusted industry resources to better understand how these penalties work. We do this to ensure our clients won’t fall victim to them. 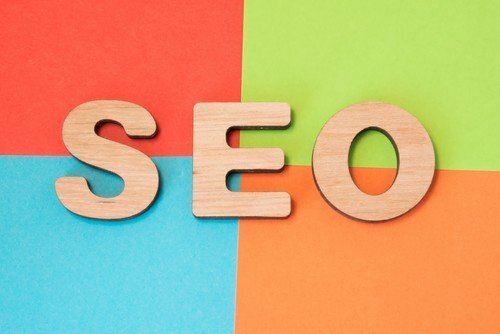 Our team of SEO specialists have experience implementing a variety of SEO techniques for a range of clients within different industries. Call us today to learn more about how we can help you get found quick!